Puchong MP Gobind Singh Deo wants the authorities to find a solution to the flash floods that hit the IOI Mall on Wednesday. He said that the Subang Jaya Municipal Council(MPSJ) and all the relevant parties should address the issue before another downpour occurs. “The flood here is a recurring issue that has to be tackled immediately. It is raining almost daily and another flash flood can happen,” he told reporters during a site visit to the IOI mall in Puchong, Selangor, today. Gobind said that MPSJ had to conduct a full and open inquiry into the flash flood problem. “I have received preliminary reports from Prasarana Malaysia Bhd and Litrak that points back to MPSJ. “We don’t want to blame anyone. Once we have reviewed the full report than I will call for a meeting and expose the cause of the floods and see what action can be taken,” he said adding that MPSJ president Datuk Nor Hisham Ahmad Dahlan had agreed to conduct an inquiry. MPSJ deputy president Abdullah Marjunid, who was present during the site visit, said the council had already started desilting the drain in front of the IOI mall. “We have started work and we will be conducting an investigation with all the contractors on Tuesday,” he said. The Malaysian Insider had reported that the mall’s open air car park was flooded and the outer shoplots were affected as well during Wednesday’s flood. The middle and left lanes of the Puchong-bound side of the highway was totally flooded and vehicles had to squeeze into the right lane to get by the IOI Boulevard area. The flash floods, which lasted about 20 minutes, resulted in a traffic jam along the LDP, spilling over into the adjoining Sprint highway. Litrak head of communications, Shah Rizal Mohamed Fawzi, had said in a press statement that the company had carried out a joint site visit with MPSJ, Malaysia Highway Authority (LLM) and representatives from IOI Mall. 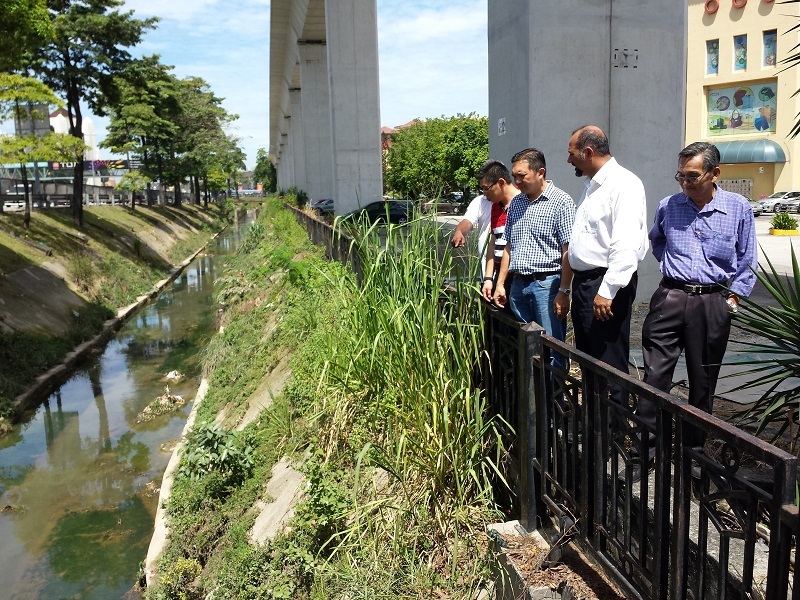 Shah Rizal had also said that the drain running through the LRT Station 6 site beside the IOI Mall was found to be badly silted. – June 13, 2015.